If your family is suffering the tragedy of a wrongful death, you will need to retain the services of an attorney who is devoted to helping clients obtain just compensation. Speak with our attorneys today; we can guide you through this process and fight to obtain the compensation you need for the losses you have suffered. Taking immediate action is important at this time because it can help you move forward after your loss. With the death of your loved one, you will also likely face the loss of the financial stability you once experienced, especially if the decedent was the primary financial provider of your family. Wrongful death lawsuits, when litigated with the legal assistance of our firm, can help the decedent’s family resolve many of their financial troubles. In some cases, punitive damages may also be awarded. 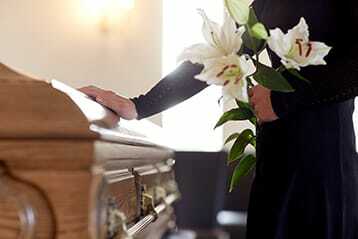 If the death was caused by negligence or recklessness, we can help hold the responsible party liable. If you have experienced the tragic loss of your loved one, we encourage you to get in touch with our firm at your earliest convenience. Our legal team can help you fight for the compensation you need to continue your life. Schiller, Pittenger & Galvin, P.C. The material contained on this website is for informational purposes only and does not, and is not intended to, constitute legal advice. You should consult with an attorney of your choice for advice on your specific legal issues. You should not construe or consider anything on this website as an offer to provide legal services. The viewing of any or all of the information contained on this website does not create, or constitute, an attorney-client relationship. You should not act upon any information on this website without seeking advice from an attorney licensed in your state or country. Please do not send any confidential information to us until such time as an attorney-client relationship has been established. If you do not have an existing attorney-client relationship, your communications with us may not be considered privileged or confidential.